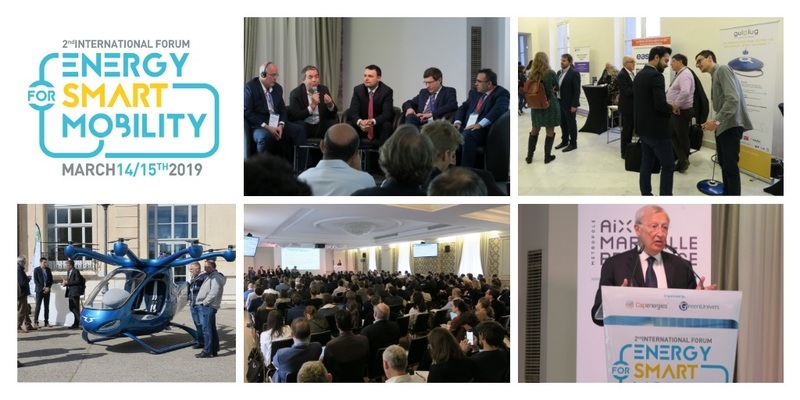 On March 14th and 15th at the Palais du Pharo in Marseille, decision-makers – large groups, SMEs, startups and institutions – met around one of tomorrow’s major challenges: finding solutions to provide competitive, carbon-free energy that enable the large-scale advent of clean mobility. The Forum is organized by two major players in the sector: the cluster Capenergies and GreenUnivers, media specialized in the markets of the energy transition. “Vehicle-based and embedded solution” winner: easyLI Batteries, which offers tailor-made solutions for lithium-ion energy storage. “Solutions infrastructure and energy management” winner: Gulplug, a charging company for all automatic and intelligent vehicles. “Solutions Hydrogen” winner: HySiLabs, hydrogen transport solutions. A “Coup de coeur” prize was awarded to GreenFlux, a Dutch company providing smart charging solutions. Decompartmentalize: energy companies, operators of charging stations and vehicle fleets, territories… all actors must work together to facilitate innovation and the rapid deployment of innovative solutions. Think of mobility “as a service” for users by exploiting the fundamental contribution of digital technology and by promoting the complementarity of mobility solutions to adapt to the specificities of territories. Find new business models for innovative devices, such as Vehicle-to-Grid, that provide added value for all involved, including users. Allow the arrival of a favorable regulatory framework to attract investment. technologies. Hydrogen has two advantages: fast charging and adaptation to mixed needs (short and long journeys) and heavy mobility (buses, trains). Hydrogen also serves as an integrator between the different energy sources and the different energy networks and increases the penetration of renewables in different sectors.